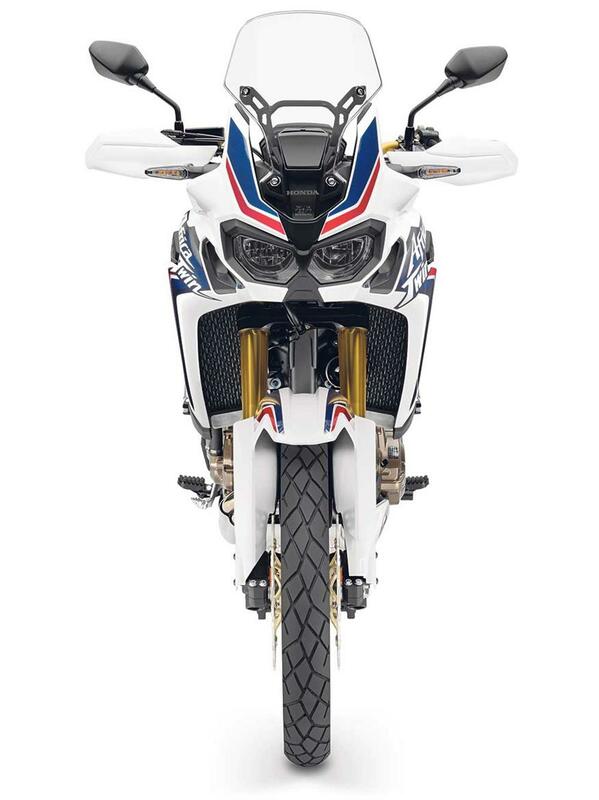 After months of teasing and years of rumour surrounding a new Africa Twin, Honda have finally taken the wraps off the new bike it calls the CRF1000L Africa Twin. 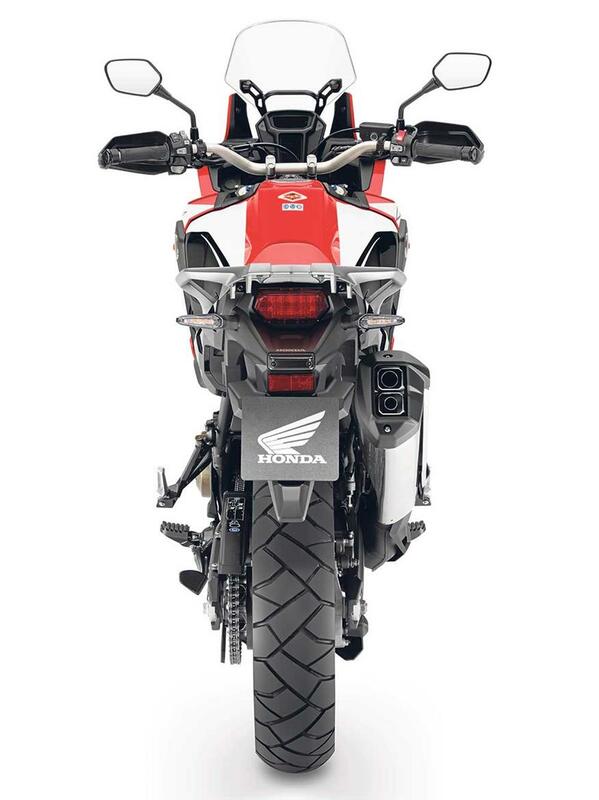 This is a completely new machine from the ground up, and uses a new 998cc parallel-twin engine, twin-spar cast aluminium chassis, spoked 21in front and 18in rear wheels, the option of Honda’s Dual Clutch Transmission (DCT), switchable ABS, and multiple mode traction control that also has an off-road setting. Honda say three attributes from the original XRV750 were central to the development of the new bike – off-road performance, the comfort of a touring bike and ‘everyday agility’ that makes for a bike capable of all-day riding or day-to-day commuting. 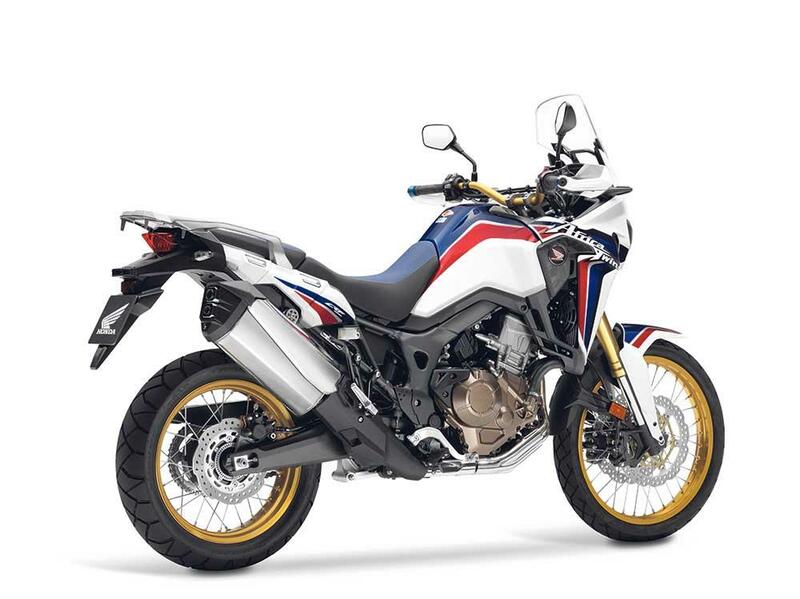 MCN has been at the sharp end of bringing scoop stories about the new Africa Twin for almost three years but this is the first time the Japanese firm have released full technical information about this critically important new model. Honda have been making a big deal of this bike since a mud-splattered True Adventure concept bike was shown last November at the Milan show, alongside the prototype RC213V-S road replica MotoGP bike which went on sale earlier this month. 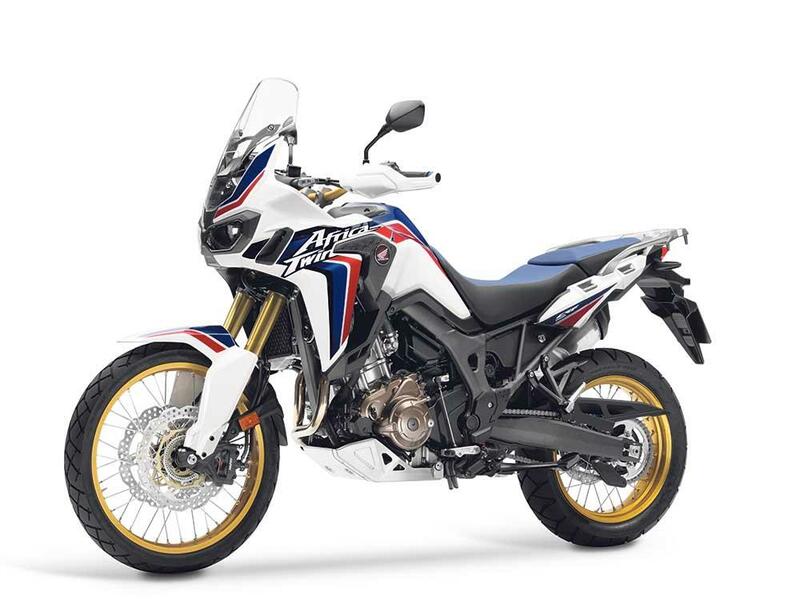 The reintroduction of the Africa Twin name was always seen as an important thing for Honda to do as it attempts to claw back some headline interest in the brand. In 1984 Honda gave its racing arm, the Honda Racing Corporation (HRC), permission to develop a desert racer, which resulted in the NXR750; a bike that won the Paris-Dakar rally from 1986 to ’89. 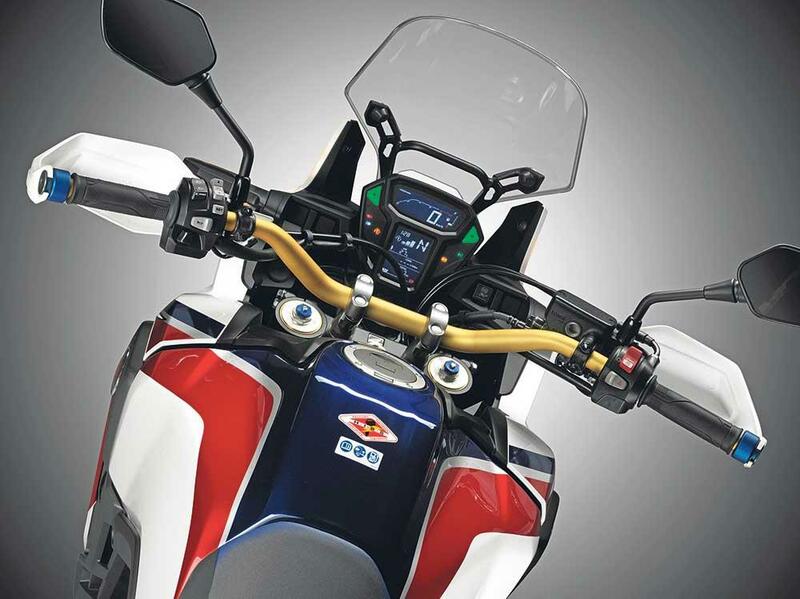 The XRV650 Africa Twin was born from that project in 1988. It was sold in the famous red, white and blue HRC colours and was one of the few Honda road bikes allowed to be sold with HRC logos. The bike remained unchanged until it got a comprehensive revamp in 1993 with a bigger, 742cc motor and a host of other revisions including a new frame, bodywork, fuel tank, and a lower seat. Apart from colour changes it then remained on sale until 2003 but remains a much-sought-after bike for those embarking on long adventures for its combination of unburstable engine reliability and ease of maintenance. 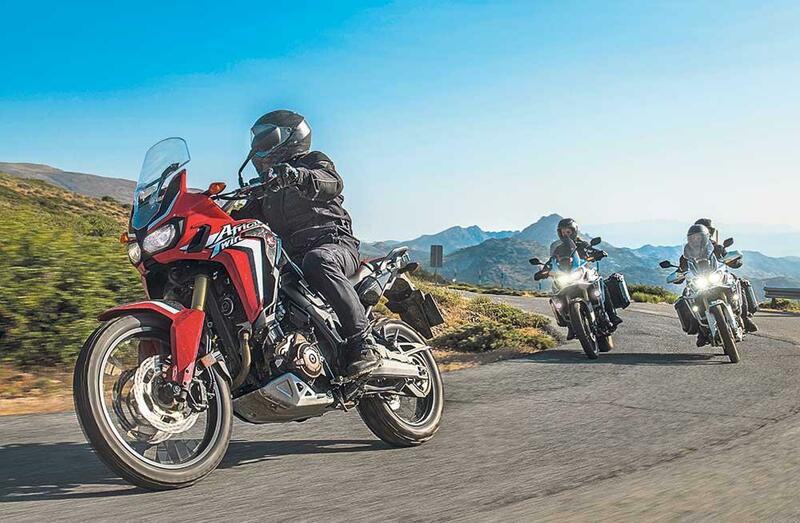 Honda already have a number of adventure bikes in the range including the VFR1200 Crosstourer, VFR800X Crossrunner, the CRF250L along with the NC750X and the NC500X but none of them have managed to grab a slice of the lucrative market sewn up by the BMW R1200GS. Honda know they need to work hard to get into this market and while the VFR1200X Crosstourer makes for a luxurious touring bike it doesn’t really have any off-road credentials; something that’s essential in this market. While some may grumble about the fact the bike is missing the trademark V-twin engine seen first in the 650 and then latterly the 750 versions of the original XRV bikes, Honda have undoubtedly chosen the design for the packaging advantages it offers over a Vee configuration. 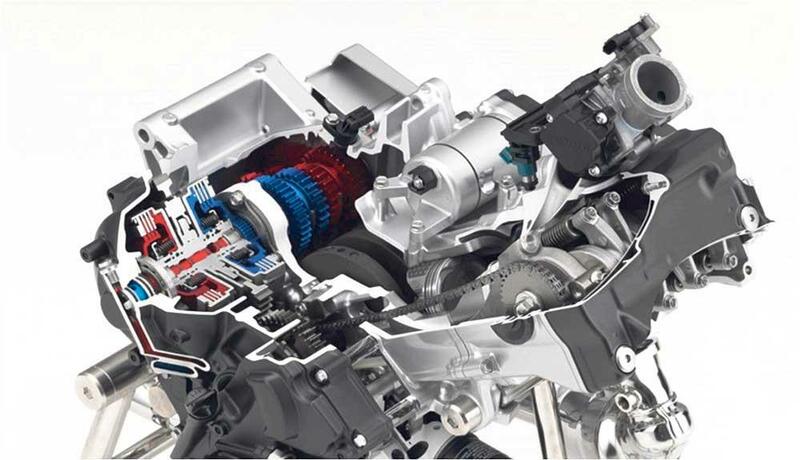 Parallel-twin engines are great for off-road style bikes as they are canted forward in the chassis allowing the space behind and above the cylinder bank for the airbox and fuel tank, and electronics to sit between the frame spars. It also offers primary advantages for ease of maintenance and the control and distribution of mass. A parallel-twin also has none of the rear cylinder cooling issues a V-twin can suffer, removes the hassle of routing the rear exhaust, and are cheaper to develop. They’re also easier to maintain, as so much of the engine is open to the air and not shrouded by the frame, seat or bodywork – a useful selling point for a bike that is being targeted at off-road adventure riders. Honda has only released a price in Euros for the base model - which equates to £8600. So, expect a UK price of £9000 for the base model, with the top-of-the-range DCT version likely to cost around £12,000.